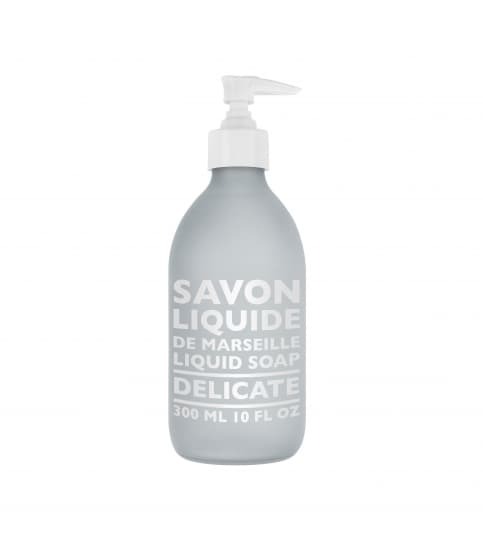 Made in a cauldron according to tradition, this Marseille liquid soap Delicate gently cleanses the skin. Elaborated with copra oil and organic virgin olive oil, it is naturally glycerined. Its warm fragrance created in Grasse wrapped your hands with woody and spicy notes.